Buses to Egremont, from Whitehaven and Carlisle. Whitehaven Station or St Bees on the Cumbrian West Coast Line our our closest mainline stations. Textile 'paintings' by local artist Sue Cosham. Sue has lived and worked in Cumbria for over 30 years. Originally from Oxford she trained in London and lived in Sussex and Hertfordshire before moving to Cumbria. After qualifying as a teacher in Food and Textiles, Sue saw her subject develop from what was known as Home Economics to the technology subjects taught in schools today. Sue taught a range of these technology subjects in Whitehaven for over 20 years, retiring in 2008. 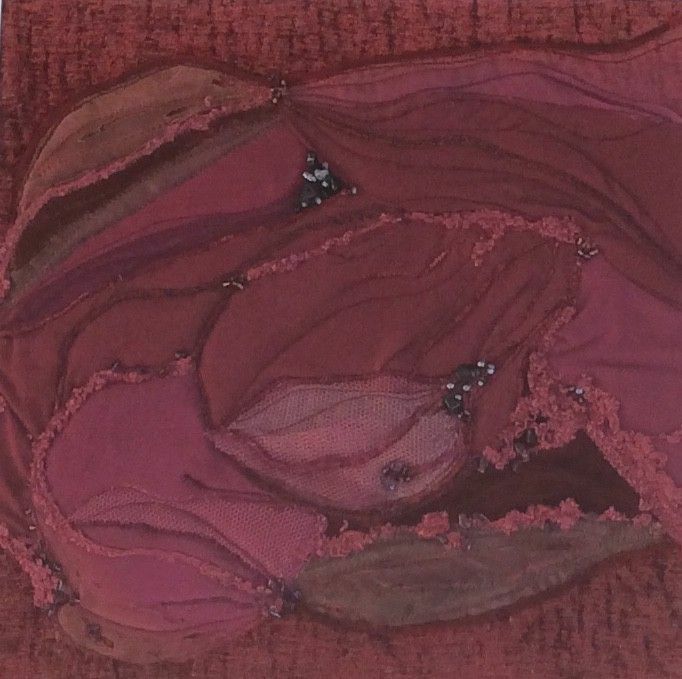 Since then she has had time to develop her own textile skills and has produced a wide range of pictures, experimenting with different fabrics and techniques. She uses recycled fabrics and adds detail using beads, ribbons and trimmings to achieve depth and interest. 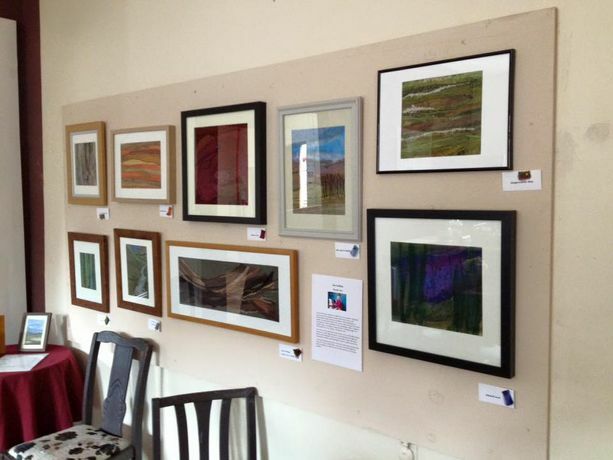 The main inspiration for her work is the countryside itself and the fell views she sees daily. Other works have included hedgerows, plants and flowers, autumn leaves, driftwood and even muddy puddles!